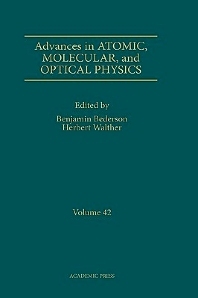 This series, established in 1965, is concerned with recent developments in the general area of atomic, molecular, and optical physics. The field is in a state of rapid growth, as new experimental and theoretical techniques are used on many old and new problems. Topics covered also include related applied areas, such as atmospheric science, astrophysics, surface physics, and laser physics. Articles are written by distinguished experts who are active in their research fields. The articles contain both relevant review material and detailed descriptions of important recent developments. Atomic, molecular, and optical physicists, cosmologists, astrophysicists, astronomers, and upper-level graduate students in these fields.